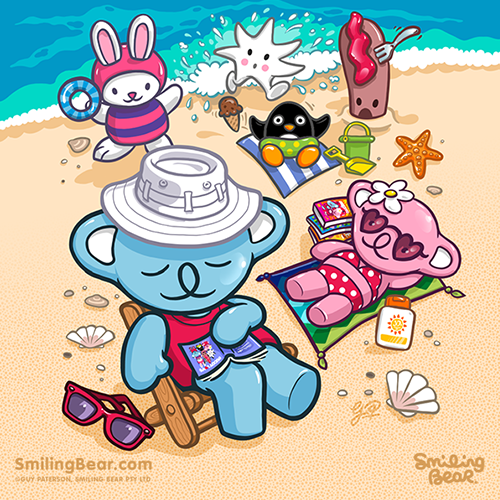 ...and here is the end result, fun at the beach! 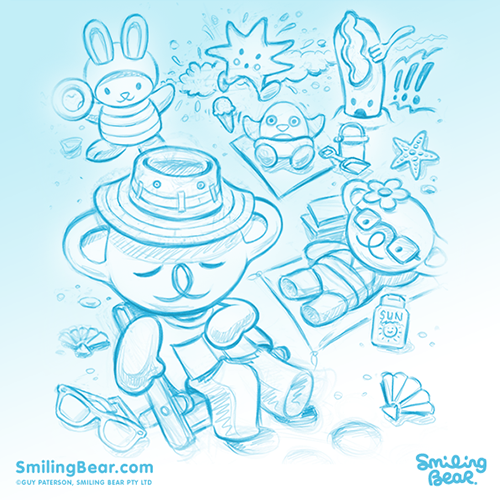 Smiling Bear Loves To Doodle-Doo – Do You? Smiles Ahoy! 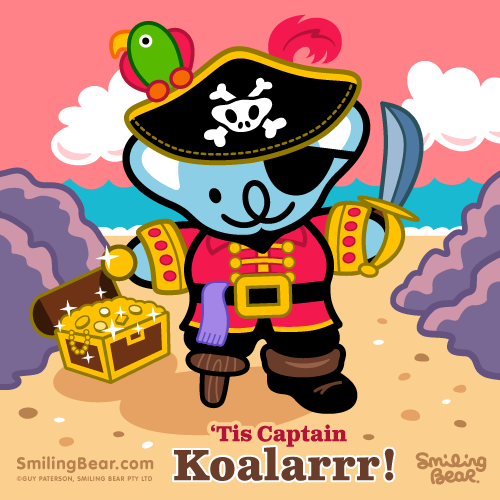 – ‘Tis Captain Koalarrr! Shiver me timbers...it’s the weekend you landlubbers! Time to let yer hair down and have an adventure or two. It's a pirate's life for me, Smile Morrre me hearties!! Smiling Bear’s Happy In The Head! You have to think about being happy for your mind to smile. Where’s your head at right now? Smiling High Up Up In The Sky! Abbotts Out, Turnbull’s In – Can Koalabama Still Save The Day? What’s That? Can It Really Be True?! Aussie Creators of Crossy Road – Seen Smiling Bear Blocky? TKIF – Thank Koala It’s Friday!